The world’s greatest spectacle – FIFA world cup action is about to kick off in Russia. It is once again the moment that our human nature reveals itself-our desire to belong and to connect with others socially. Expect anger and anguish, as well as joy, and triumph. And the world cup craze will explode online. To avoid missing out on this top world-class football action, subscribe to one of the 5 best VPNs for FIFA World Cup 2018 and thank me later. The World cup finals are being held in Russia for the first time. The tournament is scheduled to kick off on 14th June and will take place in 11 Russian Cities. Luzhniki Stadium will host the finals. 32 teams are set to take part in the 2018 world cup. Here is a roundup of the teams and their respective groups. According to the world cup governing body FIFA and Kantar Media, the audience measurement service, the last world cup finals that took place in 2014 in Brazil recorded a global in-home television audience of 3.2 billion people. Interestingly, an estimated 280 million people worldwide watched the games online i.e. mobile devices included. We all know that the number of people who have access to the internet and mobile devices has shot up two folds from the last finals in 2014 to present. If your guess is as good as mine, with such kind of traffic, the ISPs will result to throttling your traffic. Hence your network will be congested leading to slower speeds and the associated buffering. Imagine waiting for this moment for years only to get a raw deal. Use one of the best VPNs for FIFA World Cup 2018 on my list and watch FIFA World Cup with VPN without throttling by your ISP. But how? I know that’s the question boggling you. That’s what I’m doing. Let’s get to the basics. A VPN is a Virtual Private Network. 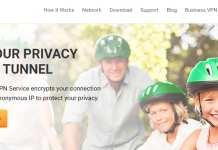 It encrypts all your traffic so that your ISP will only see encrypted traffic. That way, your ISP won’t be able to throttle your traffic. So you will be able to watch your desired world cup football matches without buffering which is excellent! I have to show you how to watch the Russia FIFA 2018 world cup finals free from anywhere. Indeed, there’s a way you can watch the Russian world cup free from anywhere. Want to find out? Read on. iPlayer and ITV hold the FIFA World cup 2018 broadcasting rights in the UK. And, they will be broadcasting all the world cup games free to the public. However, due to Geo-restrictions, you won’t be able to watch the action from the outside UK. The best way to circumvent the Geo-restriction is to use a competent VPN like NordVPN, ExpressVPN, CyberGhost or any other World Cup VPN on my top five list. Connect to the VPN’s UK server, and use the UK IP address to unblock both iPlayer and ITV to get the spectacular action utterly free from wherever you may be. NordVPN is my choice for the best VPN for sports live streaming and unblocking content. The VPN provides you with 4300 massive VPN servers spread across 62 countries. In fact, the VPN has 505 servers in the UK which makes it easy for you to unblock iPlayer and ITV. The VPNs base in Panama is excellent for privacy. Also, NordVPN is a strictly no logs VPN service. So you can stream the FIFA World Cup with VPN anonymously, and securely. And so I chose it as the first among the best VPNs for FIFA World Cup 2018. The number of devices allowed is another criteria that I use to recommend a VPN service. NordVPN does great on this criteria by allowing the connection up to six simultaneous connections using a single account. The VPN is user-friendly and works with all the major operating systems like Windows, Android, macOS, iOS, Chrome, Linux, and Firefox among others. Streaming the FIFA World Cup with VPN requires fast speeds and unlimited bandwidth. NordVPN constantly exhibits blazing speeds in all my tests. They do not cap your bandwidth which makes the VPN service the most ideal World Cup VPN for streaming the world cup action. Other outstanding features are double VPN, Cybersec, military grade encryption, and Internet Kill Switch to secure your online privacy. 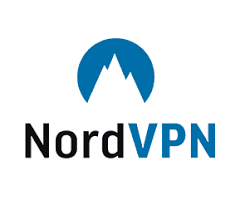 You can read more on NordVPN. ExpressVPN is an excellent FIFA World Cup VPN service with a broad server network. It features more than 2000 servers spread across more than 94 countries which means that you can unblock and stream your favorite sports action from anywhere in the world. In fact, it’s my favorite VPN for torrenting. You can use ExpressVPN to watch the world cup action with privacy and security and above all at incredible speeds and in HD quality. They allow simultaneous connection up to 3 devices with a single account. ExpressVPN has the industries best customer support which is a significant feature that reinforces its position as the second among the best VPNs for FIFA World Cup 2018. 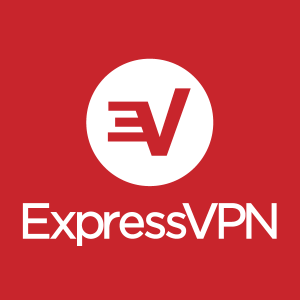 ExpressVPN is easy to use and supports all major operating systems including Windows, Mac, Android, iOS, Linux, and Routers. The VPNs location in the British Virgin Islands is among the best Privacy locations for a VPN. Besides, ExpressVPN is a strictly no logs VPN, not even connection logs. It is a guarantee that you are anonymous when you use ExpressVPN to stream the world cup action. The use of robust encryption – AES 256-bit encryption to protect all your online data from hackers and other cyber-criminals. They have an inbuilt DNS/IPv6 leak protection. Others would be the use of an Internet Kill Switch and the invaluable Split Tunneling feature. You can indulge further with this World Cup VPN by reading my Comprehensive review. CyberGhost is an excellent FIFA World Cup VPN for bypassing online Geo-restrictions. Indeed, it is a fantastic choice for streaming the FIFA World Cup with VPN. It boasts of more than 15,000,000 worldwide users; The VPN service has over 1,300 servers in over 60 countries. 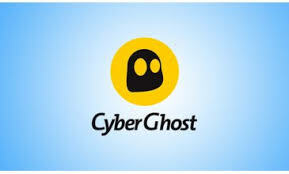 CyberGhost is my choice as the best VPN for Russia. Indeed, their subscriptions in Russia, Germany, and Australia seem to be increasing. With more than 133 servers in the UK, you are assured of unblocking iPlayer and ITV to watch the spectacular world cup extravaganza free of charge. CyberGhost is easy to use and supports a wide range of platforms including Windows, Android, Mac, and iOS. The VPN allows simultaneous connection up to 7 devices which is the highest in the industry. The point often overlooked is the number of devices a VPN service allows. Obviously, a VPN that allows you to connect to more devices is great for a family set up. It would also mean that during the world cup, several devices can be used to view the world cup concurrently. CyberGhost justifies its position as the third best VPN for World Cup. Head on to iPlayer or ITV hub and watch FIFA World Cup with VPN. CyberGhost provides you with AES 256-bit encryption, NAT Firewall to protect you from hackers, and the invaluable Internet Kill Switch. The VPNs location in Bucharest Romania is excellent for privacy. Besides, they do not log a user’s online traffic. Hence, you can unblock and stream the world cup games anonymously with CyberGhost VPN. CyberGhost is excellent at not only unblocking streaming websites but also unblocking any other sites. They readily provide you with options to help quickly figure out the best server to use for your circumstance. You can read more on CyberGhost VPN. IPVanish is a top World Cup VPN service based in the US that champions for an open and safe internet. 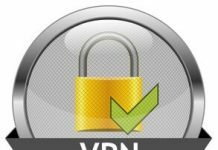 The VPN works with all the major platforms including Windows, Android, Linux, Mac, iOS, Chrome book, Fire TV, Windows Phone, and Routers. IPVanish allows connection up to 5 devices using a single account. You also get access to more than 850 servers spread over 60 countries. IPVanish exhibits excellent speeds in my various tests. Speed is a significant consideration when choosing the best VPNs for FIFA World Cup 2018. Security wise, the VPN provides you with AES 256-bit encryption for protecting your online data. The VPN service also comes with NAT Firewall, DNS leak protection, and an Internet Kill Switch. The major downside with IPVanish is its location in the US which is not what I would refer to as a privacy VPN location. You can read more on IPVanish VPN. VyprVPN has its base in Switzerland a privacy haven. The right to privacy in Switzerland is guaranteed under Article 13 of the Swiss Federal Constitution. The Swiss Federal Data Protection Act and the Swiss Federal Data Protection Ordinance are the respective statutes that protect your online activities. VyprVPN is a brilliant FIFA World Cup VPN that’s highly user-friendly. I like that its setup process is straightforward. 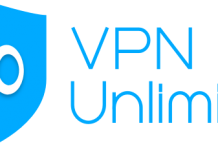 The VPN is compatible with all the major operating systems and allows the simultaneous connection of up to 5 devices with a single account. They have more than 700 servers and allow unlimited dynamic server switches. You also get unlimited fast speeds which are ideal for magnificent streaming. Though VyprVPN keeps connection logs for a period of 30-days, they do not log your online activities. Coupled with their base in Switzerland, Leak protection, and an Internet Kill Switch. It means that you can stream your world cup games without any trace. 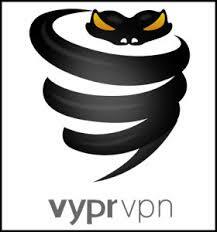 VyprVPN employs AES 256-bit encryption to keep prying eyes at bay. They have their proprietary Chameleon protocol that has the potential to bypass restrictive networks. They also have a NAT Firewall that doesn’t require any additional software configuration because it runs on the VyprVPN servers. I like that they own and manage more than 700 servers that spread in more than 70 global locations. I also like their CYPHR messaging app that uses symmetry key encryption to secure and protect all your messages. VyprVPN always exhibits satisfactory speeds as well as latency in my various tests. You can read more on VyprVPN. VyprVPN is currently running a World Cup special that offers new customers 40% off the price of any VyprVPN plan. You can also stream the world cup games on other wonderful channels cross the globe. Just remember to use the best VPNs for FIFA World Cup 2018 in my list in case you surfer any Geo-restrictions while streaming the world cup extravaganza. If you are in the US, you have access to NBC, Telemundo, ESPN, and Fox. In Germany, South American countries, New Zealand, and the Caribbean you have SKY. 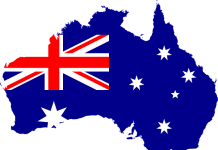 Fans in Australia can catch the World Cup extravaganza on SBS. Noteworthy: The above websites are known to limit or block content to specific regions. However, armed with any of the best VPNs for FIFA World Cup 2018 in my above list you need not worry at all. 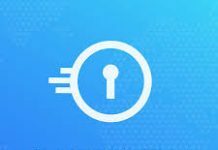 Just connect to the VPN’s server in the region where the specific website is based and watch FIFA World Cup with VPN anonymously without throttling and in HD quality. The 2018 FIFA World Cup is going to take place in 12 venues across Russia. The Lukhzini stadium will host both the opening and closing matches on 14 June and on 15 July respectively. Now that you know the best VPNs for FIFA World Cup 2018, and how to watch World Cup with VPN, it’s only fair I do a round up of all the stadiums where the games will take place. For more information on stadiums and the World Cup Fixtures, read my complete review. 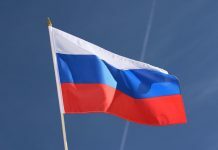 If you are traveling to Russia or you are already in Russia for the 2018 World Cup, you can beat the massive Russia’s internet censorship and surveillance with one of my recommended best VPNs for Russia. Good job @Ian will most definitely make use of the VPN option for the world cup. I have been using Cyberghost and I am confident to assure everyone that it is excellent. Definitely it will be great for fifa world cup 2018 streaming. Indeed, Arnold, CyberGhost is a great VPN service. They are now allowing simultaneous connections of up to 7 devices which is the highest in the industry. And great for a family set up. Price wise, CyberGhost just introduced a special annual deal that goes for $2.75/month. Will definitely need a VPN to watch games from my favorite channels abroad, since most channels are not available in kenya.. Thanks, Steve, that’s the best way to mask your internet traffic and avoid the possible throttling by your ISP. Thanks Football Lover, off course ExpressVPN will definitely help you watch the 2018 world cup. Thanks, Aubree for your confirmation. What we really need go know is a list of websites from different countries we can access the official channels on. BBC an it’s are great, if you can connect to UK server. Currently finding Express vpn is not able to very consistently. Need other options. Sure Fred. I’ve also tested Ivacy and its working perfectly. And their price starts from $1 with a 7-days money back guarantee. Others are Private Internet Access, and PureVPN. I have updated their respective links at the end of this article. Hey Nicholas. You did not mention FastestVPN they are also offering FIFA Streaming solution with good speed at $1.